Tips to improve the security of your home. How many hazards in your home are going unnoticed and may be a threat to you or your loved ones? As a homeowner, you want to do all you can to protect your property and the people in it. Fortunately, improving your home’s security and safety doesn’t have to cost you the big bucks. Here are some affordable tips to try when looking to boost the safety of your property. Add deadbolts to the doors. 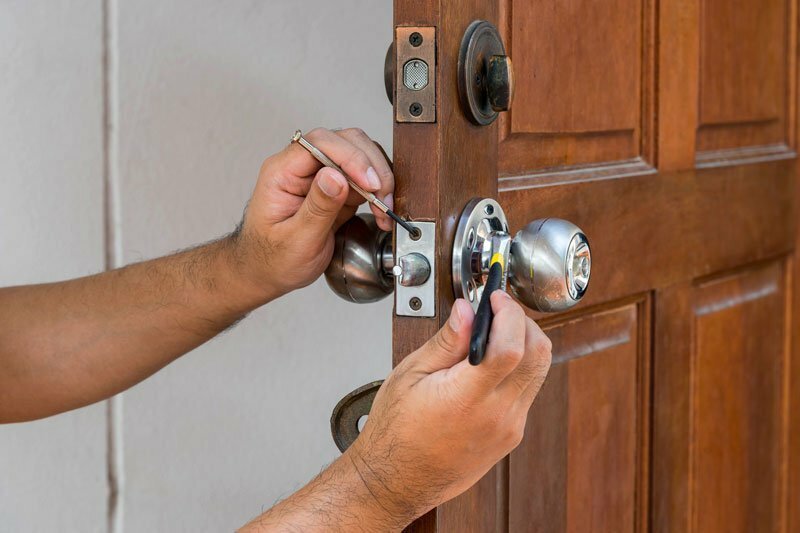 One of the easiest (and cheapest) ways to improve your home’s security is to install deadbolts on the doors. You can buy easy-to-install deadbolts from most hardware stores and they are a minimal investment for such quality protection. Be sure to use them – even when you’re home. It’s said that experienced burglars like to ‘case’ a home before they even break in so that they can determine whether or not your goods are worth the risk. To make your home burglar-unfriendly, install curtains or blinds. Opt for cordless blinds if you have children. If a thief can’t see in, he or she will likely move on. Create and practice an emergency fire escape plan with your family. The majority of deaths from home fires are from smoke inhalation, so having a working fire alarm is critical. Be sure to test your alarms monthly from now on. If you have pets or children, it’s important that you lock up medications, household chemicals, and cleaners. Be mindful of which plants you have in the home, since some can be toxic when ingested by cats and dogs. If your stairs are looking a bit worse for wear, ensure that you have a secure safety railing for people to hold onto. While you’re at it, replace torn carpeting that could be a tripping hazard, and add non-slip strips to outdoor steps.